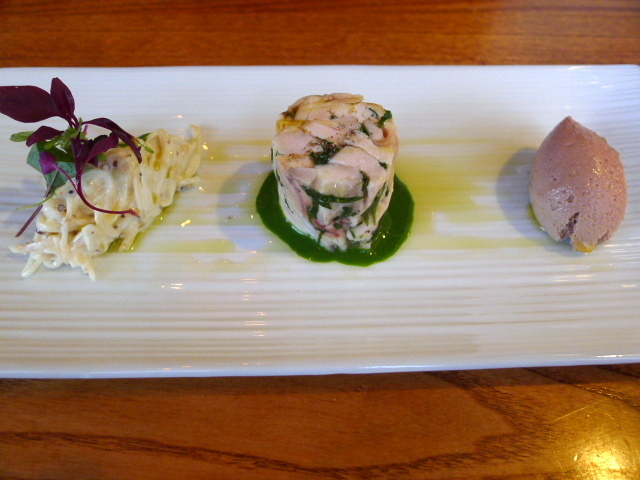 We were greeted with a bit of grit in our first mouthful of the guinea fowl ballotine. But thereafter the guinea proved to be really tasty and succulent. A chicken liver parfait was rich and creamy, and the celeriac rémoulade and garlic and parsley purée completed this dish nicely for another lovely plate of food. Steamed sea bass was wonderfully fresh and impressive for its sweet moist flavour. Accompanying the fish were some scallop and tiger prawn dumplings that were firm and yummy, and some well cooked pak choi which had held onto their crunch. 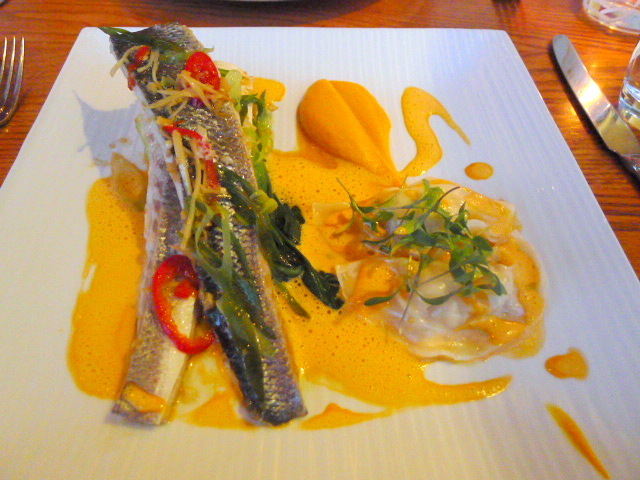 To finish the dish was an excellent soya, carrot and ginger puree, and a fantastic lemongrass bisque. Classically French in its preparation, the bisque proved to be rich and creamy with the lemongrass giving the fish a nice Asian twist. Barbary duck breast was nicely cooked and served with some yummy potato gratin croquettes that were tasty with a crispy crumb coating. 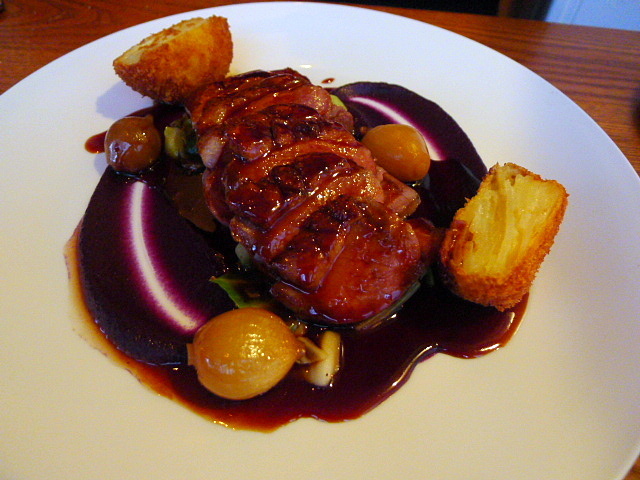 There were also some crunchy hispi and red cabbage, soft baby onions and a rich sweet port jus that matched well with the duck. 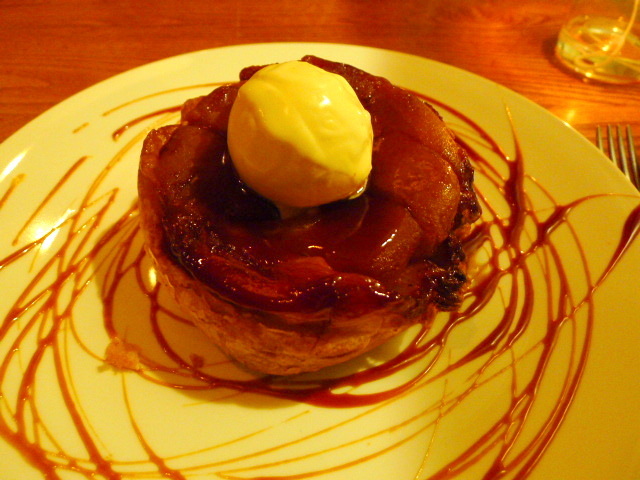 A dessert of apple tarte tatin with cinnamon and calvados ice cream was in contrast rather underwhelming. The pastry was lacklustre and lacked for a buttery finish, a surprise given how good the pastry was in the caramelised onion tart. The apples were soft but the cinnamon flavour was hard to detect. The caramel finish on the tart also had a tinge of bitterness to it. The dessert may not have hit the spot, but we were extremely impressed with the quality of the cooking demonstrated by the starters and the mains. 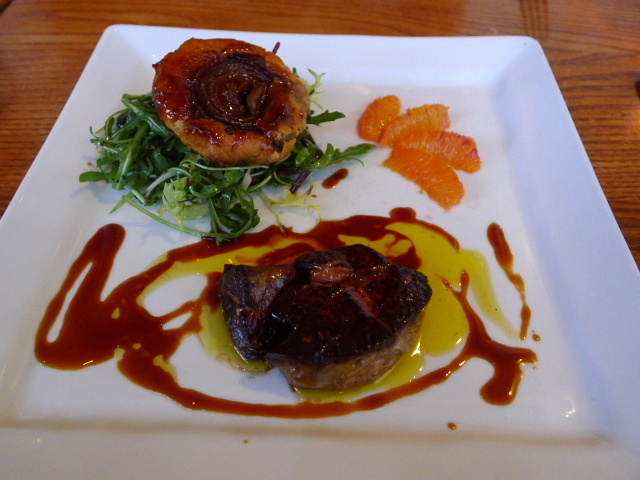 The service was respectable, and with such reasonable prices it was really hard not to like Restaurant Michael Nadra. It proved itself to be really great value and it is a restaurant I would definitely visit again. Lunch – 2 courses for £20 and 3 courses for £25. Dinner – 2 courses for £30 and 3 courses for £36. I’ve been meaning to visit La Trompette for a while, after this review I’m definitely planning for it in the next month. Thanks for the review!